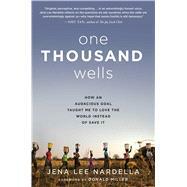 Jena Nardella, cofounder of Blood:Water and one of Christianity Today’s 33 Under 33, shares how her passion for saving the world grew into a humbler long-term calling of loving the world in all its brokenness in this beautifully written memoir. Ten years ago, Jena Lee Nardella was a fresh-out-of-college, twenty-something with the lofty goal of truly changing the world. Armed with a diploma, a thousand dollars, and a dream to build one thousand wells in Africa, she joined forces with Grammy Award–winning band Jars of Clay to found Blood:Water and begin her mission.